The manual is designed to provide ideas to help overcome the many obstacles that prevent people experiencing homelessness from becoming registered, active voters. In the manual we outline multiple strategies to register, educate, and mobilize voters. 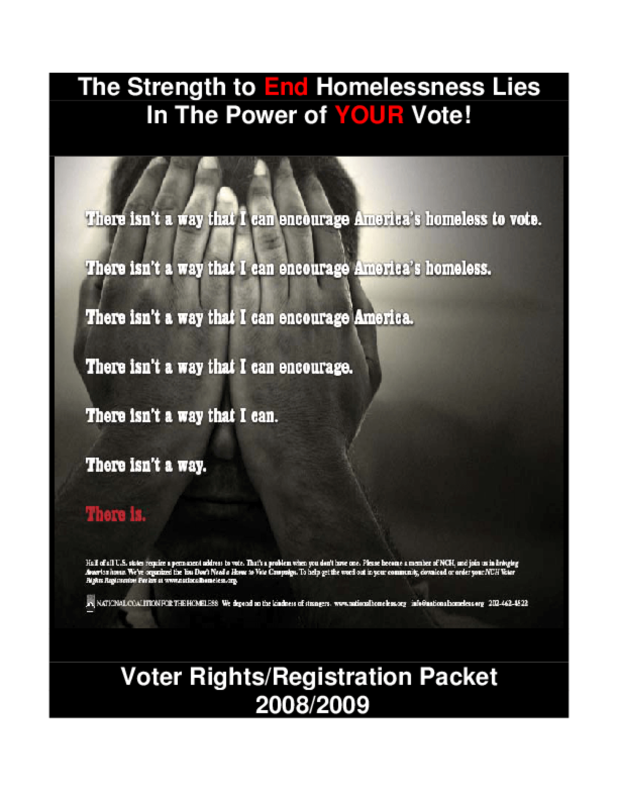 We also provide information about common legal issues facing homeless voters, a State-by-State Chart of Homeless People's Voting Rights, and selected court decisions that have expressly protected homeless persons' voting rights.